Find more passion and fulfillment in your work? Gain greater confidence and a stronger leadership presence? Hone decision-making habits that contribute to effective leadership? Adjust more quickly to a new leadership role? Avoid “getting in your own way” and remove obstacles to your growth? Build inspired leadership throughout your organization? Rosewood offers a full circle of services to help you enhance and transform your way of leadership. 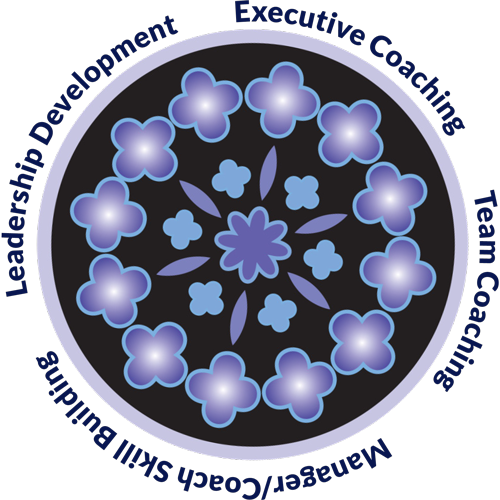 Whether you’re an individual leader wanting coaching or you’re looking to enhance leadership development across your organization, our spectrum of services will help you realize your vision of extraordinary leadership. Our unique way of partnering with you will lead to outstanding results. You set the agenda. Our job is not to tell you what to do; rather it’s to help you move along the path that best fits you. Our job is to raise the hard questions, offer candid observations, and challenge your assumptions. We keep the focus on who you are in a situation, rather than just on the externals. For it is the internal shifts you make that have the power to transform your world, well beyond mere problem solving. We keep the focus on results and link the work we do together to the larger organizational context and your overall purpose. As part of our reciprocal partnership, we invite and encourage you to provide regular feedback on how we’re serving you and to let us know how we can serve you even better. Studies show the dramatic business impact of executive coaching. One Fortune 500 company, a multinational telecommunications corporation, found that coaching produced a 529% return on investment and led to enhanced productivity, work quality, and customer/employee satisfaction.